Do you feel under par? Do you suffer from unexplained, niggling symptoms which flare up at random? Have you been to your GP who’s been unable to discover any problem? Could it be that the food you are eating is making you ill? 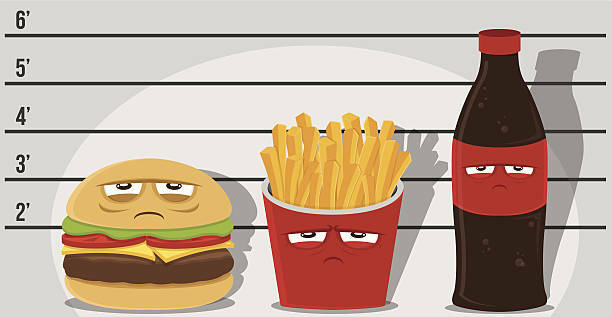 In this article we’ll look at the some of the profound effects food can have on your health. Good gut health is incredibly important for our overall health and wellbeing. It’s no mystery that if your digestive system is not working as well as it might, you may experience symptoms like bloating, cramp and irregular bowel movements. Problems involving the health of our gut will inevitably lead to reduced nutrient absorption, as well as the absorption of substances that can be harmful to our body. The effects of this can be felt throughout the body. The influence of what we eat and the health of our digestive system is closely entwined and goes much further than the simple matter of the provision of nutrients. 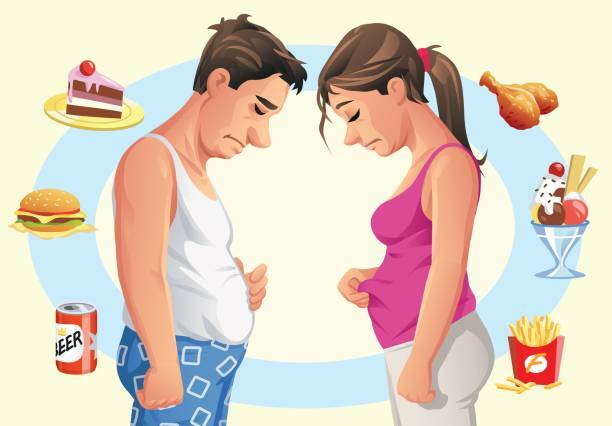 In this article we’ll have a look at what can happen to compromise the function of our digestive system, and some common food culprits. It may surprise you to learn that between 70% - 80% of our immune system cells are located in our digestive tract. This means the gut plays a huge role in allergies, auto-immune problems, and even mood problems. The lining of our digestive system is the main barrier between us and the external environment. It keeps undesirable molecules from being absorbed into the bloodstream and makes sure we get the particles we need from our food. An intestinal lining which is too permeable or ‘leaky’ allows large, incompletely digested protein molecules as well toxins to pass into the bloodstream. This can cause inflammation and allergies throughout the body. Leaky gut is really common as all sorts of factors can damage the gut lining, like gluten, antibiotics, alcohol, toxic chemicals, some medicines and even stress. Leaky gut is connected with poor absorption of nutrients, in particular zinc, iron and vitamin B12. We play host to trillions of bacteria of various species, living in our gut in a symbiotic relationship with us. 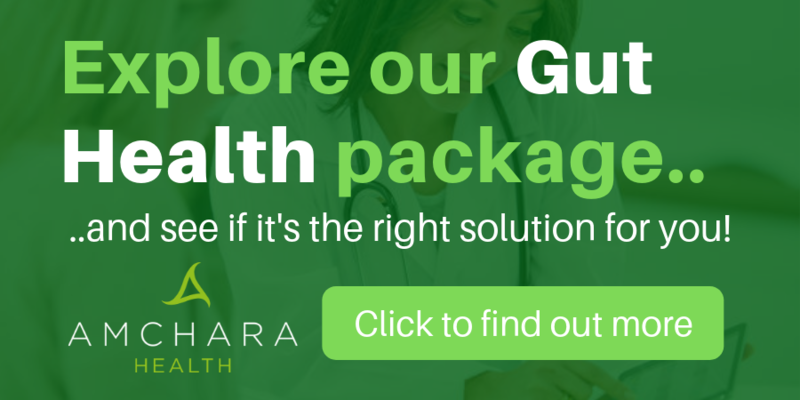 Our gut flora assist digestion, nourish the intestinal lining and assist immune function. Often there’s a shift in the bacterial balance towards unhelpful, or pathogenic bacteria, which is known as dysbiosis. This leads to problems like inefficient digestion, poor nutrient absorption and damage to the digestive lining. Often when problems occur in our digestive system, the body struggles along initially without too many symptoms. The first thing sufferers usually notice are nonspecific digestive complaints, labelled as irritable bowel syndrome. Over time, more serious conditions like chronic fatigue, depression and mood problems, thyroid issues, type two diabetes, skin problems, autoimmune illnesses and so on can develop. We’ll now go on to look at some of the underlying problems which have their roots in poor digestive system function. If you have a leaky gut, food sensitivities are likely to develop. Once the intestinal lining becomes too permeable, incompletely-digested food molecules can make their way into the bloodstream. Since these will be unfamiliar to the immune system, it tends to react as if it were a foreign invader. Just to be clear, a food intolerance isn’t the same as a classical allergy, which tends to provoke fairly predictable, rapid reactions. An example of a food allergy would be developing a rash after eating strawberries or vomiting after eating prawns. Food intolerances can come and go over a person’s lifetime and are largely dependent on the health of the digestive system. The two processes appear to involve different antibodies produced by the immune system. Food intolerances can be tricky to spot as their effects are often subtle or take time to become apparent, from a few hours to several days. Or it may be that they only provoke symptoms after a certain quantity of the food is eaten, or it’s eaten in combination with a second problem food. Food intolerance has been blamed for a huge array of both mental and physical symptoms that vary from person to person. You’ll notice some psychological effects in the list above. This is because the gut and the brain are intimately connected, in fact it’s said the gut is our second brain. The gut is home to the enteric nervous system, whose cells line the gastrointestinal tract. It’s these cells which give us our ‘gut instincts’. Studies have found that improving dysbiosis with probiotic supplements significantly lifted mood in people who were depressed. So, what you eat has the potential to affect your mood too. It’s perfectly possible for the body to develop a sensitivity to any food, but some foods are more common culprits than others. These tend to be high-protein foods, whose digestion depend on a good balance of gut flora and a gut lining that isn’t too permeable. Many people find they have problems with dairy products, soya, egg, wheat, yeast, and nuts. In order to correct food intolerances it’s important not to simply avoid the offending food. If the root causes - the health of the intestinal lining and the bacteria balance inside the gastro-intestinal tract -are not addressed, the sufferer will go on to develop more and more food sensitivities. Humans thrive best on a varied diet delivering a diverse range of nutrients and it’s inevitable that any restrictive diet will be limited in certain nutrients. Many sufferers have found that following the FODMAP diet, which limits certain carbohydrates, can be useful to help get their digestion back on tract. This type of diet it best undertaken in conjunction with a naturopathic practitioner. Some components of common foods can cause negative effects. As part of a varied diet, they don’t usually pose a problem, but it’s good to know about these substances as a reminder to enjoy everything in moderation. Just such a substance are lectins. Lectins are plant proteins. They are found in many foods, such as grains like wheat, spelt and rice, along with soya, beans, peas, lentils and peanuts. Some scientists believe lectins provide a defence for plants to keep insects away. When eaten, lectins can block the absorption of other nutrients, as well as causing digestive problems. If beans such as red kidney beans are eaten undercooked, they can cause nausea and vomiting – and this is caused by the lectins, which are very high in these beans. Some researchers suggest lectins may contribute to inflammation, which is linked to many chronic illnesses, and may damage the gut lining. Because we don’t digest lectins, and they pass intact through our digestive systems, we often produce antibodies to them, which means some people may react more badly than others when eating them. Sprouting these grains or beans reduces the activity of lectins. The longer they are sprouted, the more the lectins will be deactivated. If lectin-containing foods are soaked overnight and boiled rapidly during the initial cooking phase, the lectin content will be decreased, and they will be less problematic for the body. Fermentation destroys lectins by allowing bacteria to digest them away. This is probably why, traditionally, soy is fermented to make tempeh, tamari and miso. Sourdough bread contains fermented wheat grains. Other natural food substances can cause problems for sensitive people. Salicylates are chemicals which are found in plant foods where they act as natural preservatives or to discourage insects. They are widespread and for most people they cause no problem whatsoever but some people are sensitive to salicylates. In sensitive people, they can cause symptoms similar to those described for food intolerances. Often they are connected with asthma, sinus and breathing problems, headaches, skin problems, abdominal pain and itching. Salicylates are widespread in fruit and vegetables, some cheese, nuts, herbs and spices. One study found supplementation with Omega 3 fatty acids reduced symptoms of salicylate sensitivity, so their effects appear to be related to inflammation. Because salicylates are found in many beneficial food items like fruit and vegetables, rather than avoiding salicylate foods, a better approach is to heal the digestive system and remove the cause of the problem. Histamine is a chemical released by your immune system. Its role is to cause an immediate inflammatory response as a warning for your body, notifying it of potential attackers. Histamine causes blood vessels to dilate and allows white blood cells to quickly travel to affected areas. The release of histamine is part of the body’s natural immune response, but problems can occur if histamine is not excreted properly from the body. If histamine is not broken down efficiently, histamine intolerance may develop. This can be caused by problems either producing or releasing the enzymes which break down histamine. 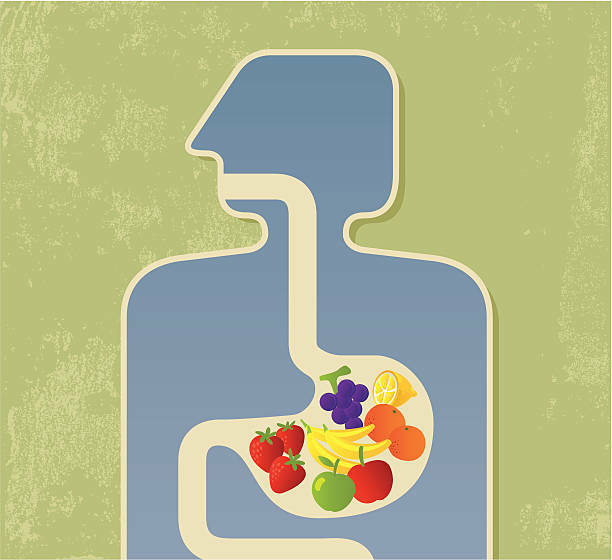 This is turn can be connected with leaky gut, gluten sensitivity, dysbiosis, inflammation in the digestive system, and some drugs such as antacids. Histamine is naturally present in certain foods, while other foods cause the release of histamine when they are eaten. These foods can cause problems in those with a histamine intolerance. Because it travels in the bloodstream, histamine can affect the entire body. Some researchers believe that some foods such citrus fruits, beans, pulses, chocolate, nuts, papaya, tomatoes and wheatgerm can bring about the release of histamine. Alcohol and tea can block the enzyme that breaks down histamine. If you suspect that you are sensitive to histamine, it’s important to work with a practitioner who can devise an appropriate diet for your particular circumstance. Vegetables belonging to the nightshade or Solonacae family (yes, that’s the same family as deadly nightshade!) which includes tomatoes, potatoes, aubergine and peppers contain substances called glycoalkaloids. These can aggravate symptoms of arthritis in susceptible individuals. It’s believed this happens because alkaloids promote inflammation which inhibits the repair of collagen in the joints. Interestingly, researchers have also found that the glucoalkaloids in potato adversely affect intestinal permeability and can aggravate inflammatory bowel disease. Frying potatoes concentrates the glucoalkaloids. Sweet potatoes don’t have the same effect. Tyramine is a substance found naturally in some foods, which can provoke adverse reactions in some people. It's particularly high in matured cheeses, smoked fish and cured meats. Tyramine is broken down in our body by a special enzyme called monoamine oxidase (MAO). Some people appear to have a deficiency of MAO and so experience migraine, headaches and raised blood pressure after eating foods containing tyramine. In fact, one study in 2010 found that the most common culprits for sparking off migraine headaches were cheese and hot dogs, both of which contain tyramine. It’s still not clear why tyramine can do this, but it may be connected with the release of noradrenaline. All this demonstrates that we are all different in how we handle some of the components in our food. Our choice of diet goes way beyond influencing our weight, providing calories for energy, protein for repair, and essential vitamins and minerals. What we eat affects every single cell of our body, but healthy eating is as unique as you are. There is no single healthy diet that will work for everyone. Our DNA itself influences the way we react to food and added to that we all have a unique lifestyle and health history. A consultation with an Amchara practitioner can help to unravel some of these biochemical individualities and provide you with the ideal, personalised diet for your body ecology and your health goals. Pinto-Sanchez MI et al, Probiotic Bifidobacterium longum NCC3001 Reduces Depression Scores and Alters Brain Activity: A Pilot Study in Patients With Irritable Bowel Syndrome. Gastroenterology. 2017 Aug;153(2):448-459. Bijal Patel et al, Potato glycoalkaloids adversely affect intestinal permeability and aggravate inflammatory bowel disease. Inflamm Bowel Dis. 2002 Sep ;8(5):340-6.